during the 1950s the threat posed by organized crime preoccupied Americans at least as much as the fear of communist subversion. At the beginning of the decade, the televised hearings of Senator Estes Kefauver's crime committee, focusing on colorful mob figures such as Lucky Luciano and Frank Costello, attracted far more attention than the spy trial of Julius and Ethel Rosenberg. In the years that followed, public concern about gangsters and racketeering continued unabated, even after the anticommunist fever of McCarthyism had begun to subside. 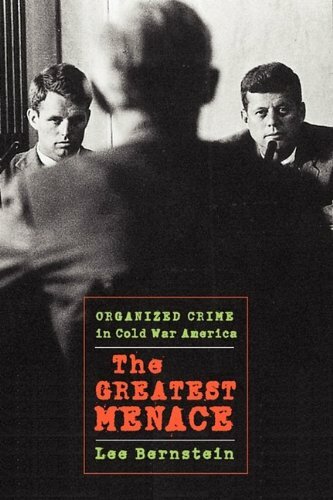 Drawing on a broad range of evidence, from government records to films, television shows, and pulp novels, Bernstein explains how the campaign against organized crime, like the crusade against communism, reflected deep social and political anxieties. Just as the inquisitions of Senator McCarthy fed on popular fears of international conspiracy and alien infiltration, the anticrime investigations of the 1950s raised the specter of a foreign-based criminal cartelâ€•the Sicilian Mafiaâ€• preying on a vulnerable American public. In both cases, the association of the foreign-born with criminal or un-American activity led to the creation of state and local citizens committees and to calls for new restrictions on immigration. Labor unions also came under attack, particularly after the McClellan Committee and its chief counsel, Robert F. Kennedy, claimed to have found a link between the International Brotherhood of Teamsters, led by Jimmy Hoffa, and the Mafia. As Bernstein points out, despite significant changes in the way organized crime actually operated, and despite repeated protests from Italian Americans, the popular image of the sinister gangster persisted, because it served a more profound need. In an era marked by widespread uncertainty and rapid social change, the fight against a common enemy, real or imagined, helped forge a Cold War consensus across shifting lines of race, class, and ethnicity by redefining what it meant to be an American.